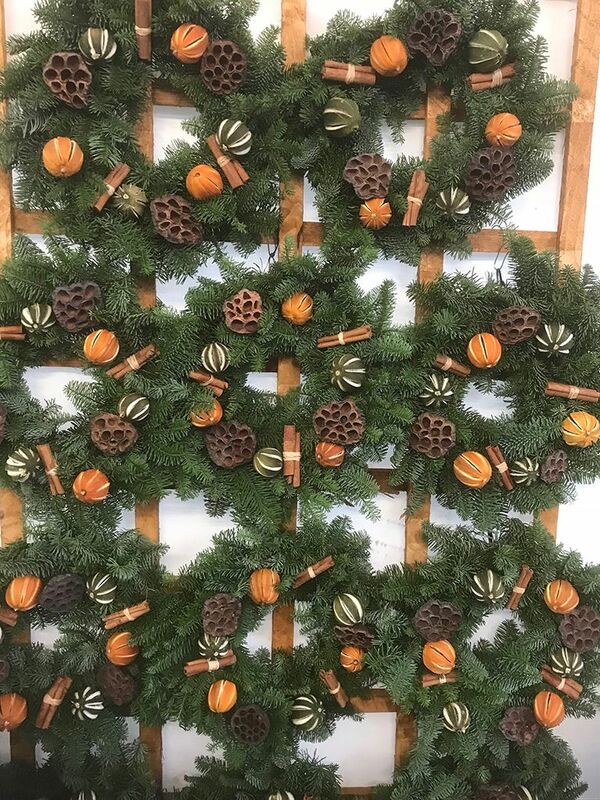 Handmade wreath. Made of real Christmas tree branches. Uses cinnamon sticks and dried fruit for a real Christmas smell. 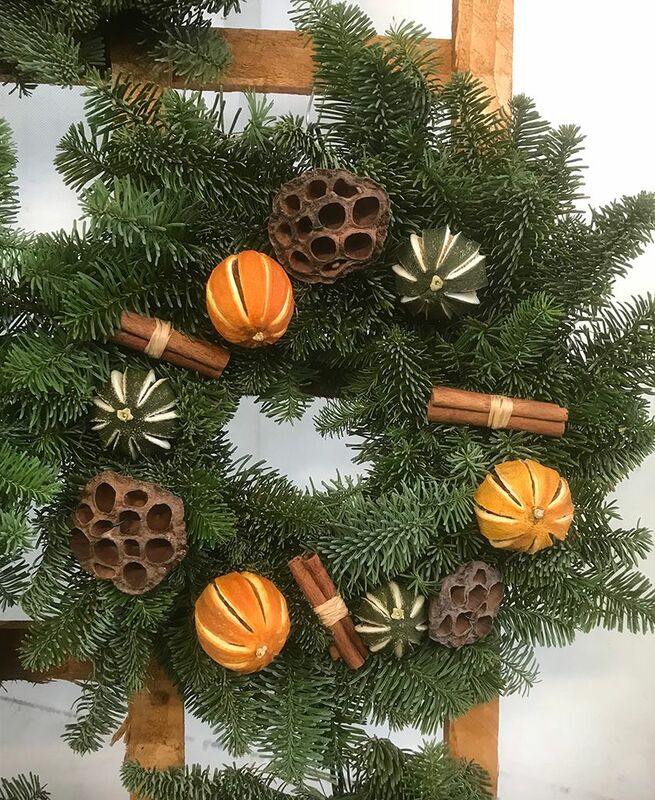 High quality wreath, makes your home inviting and festive.